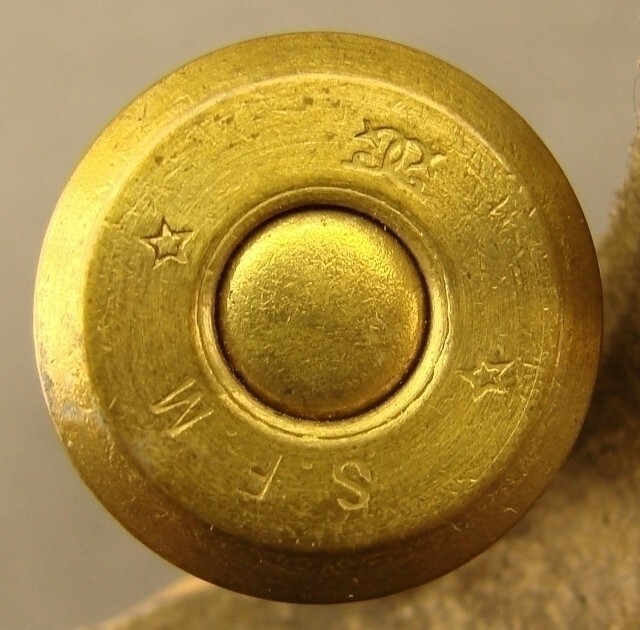 Description: Very rare, French made, Comblain rifle cartridge, 11 mm x 50.5 mm rimmed, sample board dummy (drilled) inert cartridge, by SFM identified as: "The Belgian Commercial Cartridge". Headstamp: *SFM* CC= "Societe Francais des Munitions", loaded with a paper patched "Graz" flat nosed bullet. (Hoyem Identification Code: CFR 139). A very scarce cartridge.